Prom is a very significant event in a young person’s life and we at Katy First Class Limo are able to offer luxury transportation services that will make the event even more special and elegant. As an event that marks the passage of a young person into adulthood, it possesses a special significance that should be celebrated with elegance. Our fleet of luxury vehicles are well suited to help you celebrate this special occasion in style and with sophistication. Whether you are traveling as a couple to prom or as a group, we can provide luxury vehicles that allow you to arrive at prom in opulence. 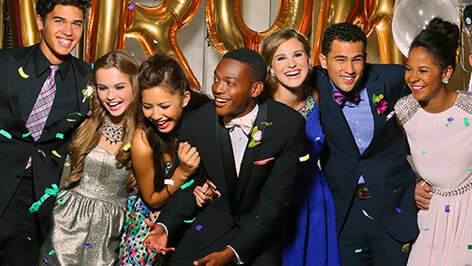 Our experience and success servicing many proms at local schools like Katy High School and James E. Taylor High School shows a proven track record that we know what it takes to provide an amazing prom experience for young people. Knowing that prom is a social event, we offer many group packages that will let you share your transportation with your friends so you can spend even more time enjoying each other’s company. We have many different vehicle sizes that can accommodate both small and large groups. Also, we know the prom experience doesn’t just end with prom and that often there are many after prom parties and so if you choose, we can provide our luxury service so you can continue your prom experience and return home safely. Our goal is to provide all your prom transportation needs so that you can focus on making great memories with your friends. At Katy First Class Limo, our collection of luxury vehicles follow a very rigorous maintenance schedule that ensures our vehicles are always in pristine condition ready to meet the expectation of our clients. Our vehicles undergo safety inspections and detailed cleanings regularly. We offer the finest amenities in our vehicles like climate control, premium entertainment system, beverage service, and spacious, comfortable seating that will let our clients greatly enjoy their travel with us. Our well trained and courteous staff will ensure that your prom travel experience is first class and that your prom will be safe and joyous occasion. Katy First Class Limo understands the significance and importance of prom to young people and as such we adhere to the highest industry standards for reliability and professionalism so that our clients can have the best experience while using our service. We ensure a top notch private limousine experience to our clients through superior customer service and unmatched luxury vehicles. That is why we constantly provide our employees with updated customer service training, and carefully inspect and maintain our limousines on a frequent basis. Our commitment is to provide the highest level of safety, professionalism, and reliability to our customers. Our goal at Katy First Class Limo is to make prom a memorable and flawless experience.